Last week, on the 27th May, my husband, Ian-Guy Campbell-Morrison, and his company, Vumba Coffee Estates (Pvt) Ltd, were found guilty, sentenced to 12 months in prison and fined US$800 for contravening Section 3(3) of the Gazetted Lands (Consequential Provisions), Act, Chapter 20:28.. His crime, “occupying state land without a permit (very few of which have been given to white farmers) from the lawful authority”. His trial started in March 2009 and was heard by magistrate Mr Billard E. K. Musakwa and State prosecutor, Malvern Musarurwa. This all when the government of national unity (GNU) has said it wants farmers to prepare for the coming winter season and the country is appealing for food aid. The State prosecutor (Musarurwa) blatantly read from a paper called “Handling Land Cases” written by the Chief Magistrate, Mr H Mandeya on 30th January 2009. This is the outline for how all land cases should be handled, what evidence can be permitted and what will be considered and what questions to ask the accused. There is a chapter called “lawyer’s tactics”. Included here is “Reports received show that the following tactics have been used to delay finalisation of prosecutions under Chapter 20.28 and to confuse courts” It is frightening enough that the Chief Magistrate can be so blatant as to write and distribute a paper like this but there are comments in it like.. “An uphill struggle indeed!” and “Another trick is to refer to case law which properly speaking is distinguishable on the facts of the case at hand. Watch out!” The State case clearly followed the paper and no other defences were considered. Prosecutor Musarurwa got very agitated when the lawyer brought up the fact that these cases are racial and that according to Amendment number 19 all citizens, no matter what race, creed or religion should be treated equally and allocated land. He said there were no “white” people unless they were sick and no “black” people unless they were dead. The magistrate agreed with him and they had many giggles about this. That one night in remand was an awful experience for him. He was shackled to another criminal at the court, taken in the back of an open bakkie to the remand prison where he was put into a filthy cell with about 80 other criminals. The cell was designed to hold 30-40 people. They had to line up to sleep and turn over at the same time as there was very little space. The ablutions were disgusting, the cell full of lice and the food uncooked mealie meal and very little of it. The next morning I had to pay $30 to the area prosecutor to use his bakkie again to collect the prisoners from the jail as the jail had no transport. My husband spent most of the next day inside the holding cell at the court until he was returned to remand to be released. The prison officers were very polite and helpful. 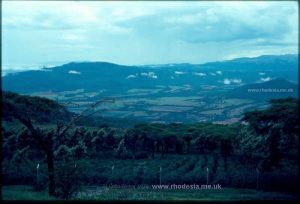 From 2000 when the land reform programme started our family has lost 900ha of land in the Vumba and were left only with 100ha property known as Eggardon Hill. No compensation has been paid by the govt for the developments on any of these properties. Musakwa’s judgement also comes after the SADC Tribunal ruled in Windhoek in November 2008 in favour of Mike Campbell (Pvt) Ltd and 78 other farmers that joined him. SADC declared that the Zimbabwean government may not continue with the eviction of white farmers, must pay them compensation for farms taken and also declared Amendment no 17 (and thus the basis of the land grab) illegal. It also declared the Fast Track land Reform Programme racist. The Deputy AG Prince Machaya acknowledged before the SADC tribunal that the treaty was binding to the Zimbabwean government, but the Acting Attorney General, Johannes Tomana, has chosen to ignore this It was against this background that we went into court on 20th March 2009. Our lawyer asked for the case to be recused from Magistrate Musakwa and Prosecutor Musarurwa as they had both attended a meeting (along with the state witness, Nixon Kutsaranga) at 3 Brigade army barracks in Mutare on 10th Feb 2009. Although Mr Musakwa did not commit perjury by denying he was at that meeting, he did say it was pure speculation and hearsay and he could not recuse the case on these grounds. The lawyer also asked if the case could be referred to the Supreme Court (denied by Musakwa) and deferred awaiting a ruling of a similar case (Thomas Beattie (Pvt) Ltd) which was before the Supreme Court, case SC 32/09 (also denied by Mr Musakwa). Trial commenced on 23rd March 2009. The State called Nixon Kutsaranga as their witness. What proceeded was a frightening display of acting between this witness, Magistrate Musarurwa and Prosecutor Musakwa. It was as though they had all rehearsed together what to say and how to act out a comedy. Lots of giggling, sneering, jeering and rubbing together of fat hands. Kutsaranga mentioned the “former owner, illegally occupying state land” whenever he could. The State tried to prove that the property in question was indeed gazetted in Oct 2003 and that despite it being withdrawn by the government in August 2004 (thereby setting aside all previous gazettings), Amendment number 17 meant it was declared state land. No argument from our lawyer was entertained here. Mr Kutsaranga did admit to the court that the company had not been compensated for the developments on the property and that the state was at fault here as this was a condition of acquisition. He did not however see it as a problem and said ” Our door is always open, .this matter can be followed up later with our Compensation Department. They will be paid..” We are not sure how a broke government can pay farmers compensation when it can’t even pay its civil servants wages. Mr Kutsaranga was presented with letters from the District Administrator (DA), Zimbabwe Tourism Authority (ZTA) recommending that the Campbell-Morrisons stay at Eggardon Hill Farm. Kutsaranga said these were mere recommendations and the magistrate agreed with him and so they were not binding. 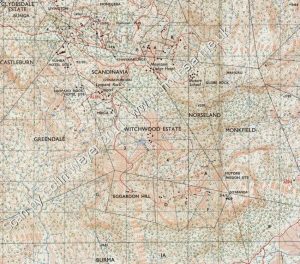 Eggardon Hill is already partly occupied by a Julias Tobaiwa on an illegal subdivision the government came up with. He has most of the arable land, we being left with only about 10ha of ploughable land which we used for pastures, grazing and a bit of maize. The real prize on this property is the house, a magnificent homestead built by an American in the 1950s with the most amazing views. The acquiring of this property has nothing to do with the land but is all about the house. Mr Musakwa refused the lawyer’s appeal for the proceedings to be taped and he only took detailed notes when the defence brought up points which favoured the State and were against us. When we said things to prove that we had been told to stay on the property by several high ranking government officials, including the DA and Governor Chigudu (Provincial Lands Committee Chairman) and Flora Boka (deputy Minister of Lands), he conveniently neglected to make notes so he could not recall these facts in his summing up and judgement. I took copious notes of each days proceedings which Musakwa did not like and in fact told me on judgement day that I was not allowed to take notes in court unless I was an accredited journalist. This according to the lawyers is not at all correct. The courtroom was filthy and dusty, the windows dirty, no light worked when it got dark, prison officers ate their lunch in there. The chairs were broken. The policeman or woman meant to be guarding was generally asleep during proceedings. Cell phones went off inside (even Musakwa’s) and were used outside the courtroom despite signs saying they were prohibited. The State prosecutor, Malvern Musarurwa, was something else. He is an ex-policeman with almost no knowledge of the law. He talked over the magistrate, interrupted him, argued against his rulings especially when it came to trial delays and was downright rude to him It was only after our lawyer had asked them both to a meeting in the magistrate’s chambers that he started to follow court procedures. It was a disgraceful disregard for the law and it made a mockery of the court. It also clearly showed that the magistrate was prepared to let him get away with this behaviour as long as it was against the accused (my husband). After being found guilty, Musakwa and Musarurwa discussed “a hefty sentence and fine for this horrendous crime”. You would think my poor husband had murdered someone! They talked about a level 11 fine AND a jail sentence and eviction from the farm. They then had a good giggle when the magistrate pointed out that if my husband was in jail he could not be evicted from the farm. In his final judgement he fined my husband US$400, his company US$400 and gave him a 12 month suspended sentence on condition he vacates the farm and does not occupy state land for the next 5 years. This final statement is totally unreasonable as it means he cannot farm in Zimbabwe for the next 5 years. This at a time when the country needs experienced qualified farmers to try fed the nation. We were led to believe that a young government doctor, Nduna, was the so called new beneficiary. He has no farming knowledge and already owns a smallholding just outside Mutare on the Vumba road where he keeps pigs. We were told by certain government officials that he had not gone through the proper channels to receive his so called “offer letter”, the document that gives you the right to occupy a farm. The saga took a new twist when the local press the Manica Post (29th May-4th June) on reporting the story of my husband’s case (under “Former white farmer fined”), said Mr Nixon Kutsaranga has been allocated the farm. Now he is the Chief Lands Officer Manicaland and was the state witness in the case! Farmers all over Zimbabwe are being prosecuted in a similar manner but most of the magistrates are deferring the cases as they see it is not right or are frightened to go against the SADC ruling. I believe there is a pending “contempt of SADC Tribunal” court case being prepared against the likes of Musakwa and Musarurwa and the people on the ground evicting farmers from their homes and farms. I hope it can be done and implemented soon before even more chaos ensues. There is also a strong calling for AG Johannes Tomana to be dismissed and all his rulings to be reviewed. If this does not happen my husband will forever have a criminal record for merely trying to stay on his farm. My husband is second generation Zimbabwean and I am third. This is our home and we have nowhere else to go. We have no intention of going anywhere else but the Zimbabwean government is making sure we cannot stay to farm. We have lost 2 homes now and have had to seek employment outside of agriculture to survive. We are both qualified and experienced in agriculture in Zimbabwe. We also had a viable tourist business on Eggardon Hill Farm with 2 self-catering holiday cottages and horses for trekking. This has all been lost as well and at a time when the ZTA is trying very hard to revive tourism, a valuable money earner for Zimbabwe, especially in time for the World Cup soccer in 2010. We have applied for land to farm under the government’s A2 scheme in which one receives an offer letter but despite our qualifications, knowledge and experience have not been allocated land by the government. We are clearly the wrong colour! Our case is not unique although my husband is one of only a few farmers to actually be sentenced and evicted by the court. (Most other forced evictions have been by the thugs on the ground). We have not had the horrific intimidation, beatings and threats, and the vandalisation of other cases, but it was frightening in that it all occurred in the open, in the courthouse under the name of the law. We have appealed against the sentence to the High Court. This will have the effect of stopping the eviction but not the jail sentence, an anomaly in itself because if we stay my husband goes to jail anyway!. We have moved off the farm as my husband cannot spend a year in jail. Already some people from the land’s office in Mutare, some thugs from the War Veterans Association to protect them and 2 policemen (1 high ranking) have visited the farm (on Monday 1st June) and climbed over the security fence into the homestead yard. They told an employee that “they came to see if we had vacated and to make sure we had not vandalised the property”. According to our appeal, as per the law, they and the new beneficiary (whichever one) should not enter the property. So it is clear that not even the police have any regard for the laws of Zimbabwe. A very sad day for our beautiful Zimbabwe! Most of the land which has been stolen by the ZANU PF regime lies idle and is reverting back to bush. But they continue their racist expulsion of farmers simply because they support the opposition. THE FOLLOWING LISTINGS OF SECTION 8 orders of Compulsory Acquisition under the recently amended Land Acquisition Act are the first orders to be listed under the new act. Farmers must take note that it is no longer necessary under the new law for the acquiring authority to serve Section 5 Notices, Section 8 orders or Section 7 admin court papers. All Farmers listed below are advised to avail themselves of the Section 8 orders from the acquiring authority. Those farmers requiring legal advice as to how to proceed should contact JAG as a matter of urgency or their legal practitioners, especially those farmers still on their farms and particularly vulnerable. Take note also that the new acquiring authority is J L NKOMO, Minister of Special Affairs in the Presidnet’s Office in Charge of Lands, Land Reform and Resettlement. NOTICE is hereby given, in terms of paragraph (iii) of subsection (1) of section 8 of the Land Acquisition Act (Chapter 20:10), that the President has acquired compulsorily the land described in the Schedule for resettlement purposes. Minister of Special Affairs in the President’s Office in Charge of Lands, Land Reform and Resettlement. A ZIMBABWEAN deputy minister and top police chief on Thursday faced accusations of orchestrating a farm labourer’s murder. Home Affairs Deputy Minister, Reuben Marumahoko and Assistant Police Commissioner, Innocent Matibiri, have been linked to the murder at Springs Field Farm in Mashonaland West. The farm is owned by controversial sports trainer, Temba Mliswa, who seized it from a white commercial farmer at the height of violent government-sponsored land grabs three years ago. Violence erupted at the farm on Thursday in an ownership dispute over a fuel service station located on the farm, resulting in the murder of one person, police confirmed. In an interview with New Zimbabwe.com, Mliswa fingered Marumahoko and Matibiri — a nephew to President Robert Mugabe — as the driving forces behind a group of people who attacked his workers. Marumahoko is said to be claiming ownership, through a proxy, Eric Nodza, who owns the Wedzera Service Station. Trouble started early this month when Marumahoko’s front, who had occupied the service station, was evicted by Karoi police from the property. Police spokesperson, Oliver Mandipaka said Thursday night that police had arrested three people in connection with the killing and investigations were continuing. The chief murder suspect, Kudakwashe Phiri, a former police officer who spearheaded the attacks, has close ties with Matibiri. According Mliswa, Marumahoko and Matibiri sent the gang on Thursday in an attempt to re-occupy the service station resulting in the skirmishes. He added that Marumahoko had been supplying fuel at the service station since the time he was the Deputy Energy Minister, a post that enabled him to easily access fuel. The deputy minister was abusing the police through Matibiri in attempts to force him out of the property, Mliswa claimed. He also said two weeks ago, Matibiri phoned him claiming that Mliswa was in possession of a fake offer letter for the property. “I went to see Matibiri the next Monday and showed him my offer letter that I was given on October 4. I told him that the police were free to investigate the issue. “The deputy police commissioner was obviously taking instructions from his boss Marumahoko who happens to be the deputy home affairs minister,” he added. Matibiri was not answering his mobile phone last night.